Rachel Wheeley is a comedian, psychology graduate and podcaster with comedy science podcast Level Up Human. She was a senior studio director for the BBC, producing live news programmes like Today and comedy shows like The Vote Now Show during the 2015 general election. She left the Beeb in 2016. Rachel has a history of science show called Dead Talks which tours science and music festivals with the Science Showoff Talent Factory. She also runs an annual celebration of The Hitch-hiker’s Guide to the Galaxy called Stand Up For Towel Day. Rachel writes about smart phone addiction after she walked into a lamp post whilst trying to put a Fresh Prince of Bel-Air gif on an email and realised she had a problem. 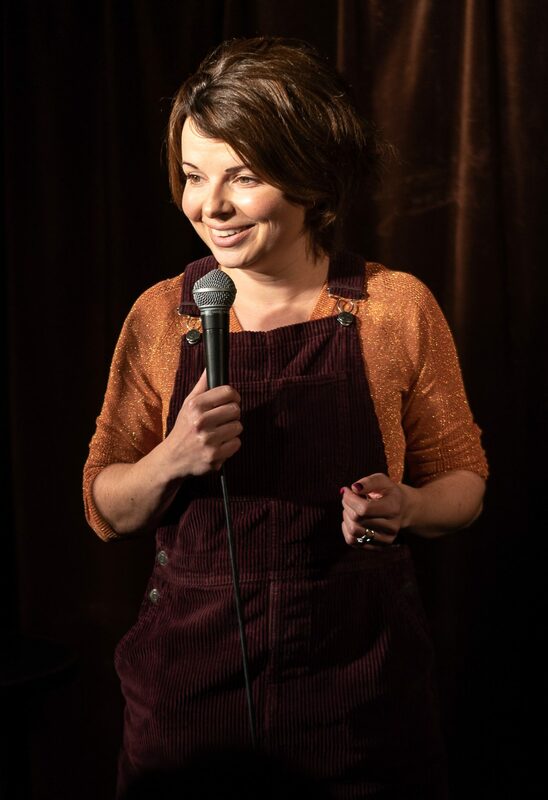 Rachel performs with Ugly Animal Preservation Society and Science Showoff, is an MC and headliner for Bright Club and has performed at Glastonbury, the Royal Institution and the Science Museum.